In addition to the wines from Ivanović and Botunjac, which come from the Zapadna Morava region of Serbia, we tried two wines from the town of Vršac in Banat. This northeastern wine region (once the largest in Europe) has produced wine since at least the 15th Century, and likely much longer. Vineyards decorate the town’s 1804 coat of arms, as does a sword flinging a bleeding, severed head. Clearly this is a wine region to be reckoned with. The brick-red 2009 Vršački Frankovka tasted appropriately meaty, especially when paired with a chunk of smoky Serbian panceta. The heady nose of brandied cherries and sausage gave way to a dry, full-bodied wine with a zippy spiciness and a long finish. One of the largest wineries Vino et Spiritus imports from, Vršački Vinogradi produced about 3,500 cases of the Frankovka (also known as Blaufränkisch), of which Vino et Spiritus brought in about 250. It’s a great deal, typically retailing for $9 or $10. Also from Banat, the last wine we sampled was a 2007 Pannonian Red, called simply a “Semi Sweet Red Wine” on its label. Mr. Goran Sevic of Vino et Spiritus designed the label himself, in fact, thinking that “Semi Sweet Red Wine” would sound more attractive to consumers than “Vranac,” the name of the variety. The ancestry of this ancient grape indigenous to the Balkans isn’t entirely certain, but many think it’s related to Plavac Mali, a relative of Zinfandel. 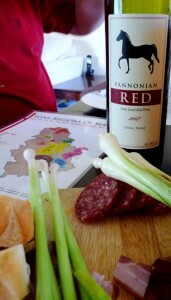 But don’t think too hard about the Pannonian Red — it only costs $7 or $8, which is an absolute steal. A rather watery red in the glass, this wine offers a nose of dried cherries and leather, a light body and pleasant flavors of strawberries and raspberries. Some balancing acids and spiciness ensure it can stand up to food; it worked well with a hunk of Jarlsberg cheese, and after eating a stalk of raw green garlic, cherry notes came to the fore. The Pannonian Red proved yet again that Vranac can produce wines of much higher quality than their price point would suggest (read my reviews of a tasty Montenegrin Vranac here and a stellar Serbian Vranac here). I thought our tasting had now come to an end, but Mr. Sevic suggested we sample some of the Serbian spirits he imports. Would my nearly empty digestive system, still recovering from a bout of food poisoning, make it through? Well, I thought, if I handled the sremska sausage and the raw green garlic, I could handle anything. Bring on the slivovitz! 2009 Vršački Frankovka: A meaty, spicy Blaufränkisch which well exceeds its price tag. Chill about 20 minutes before serving. 2007 Pannonian Red: I know few wines of this quality for under $10. 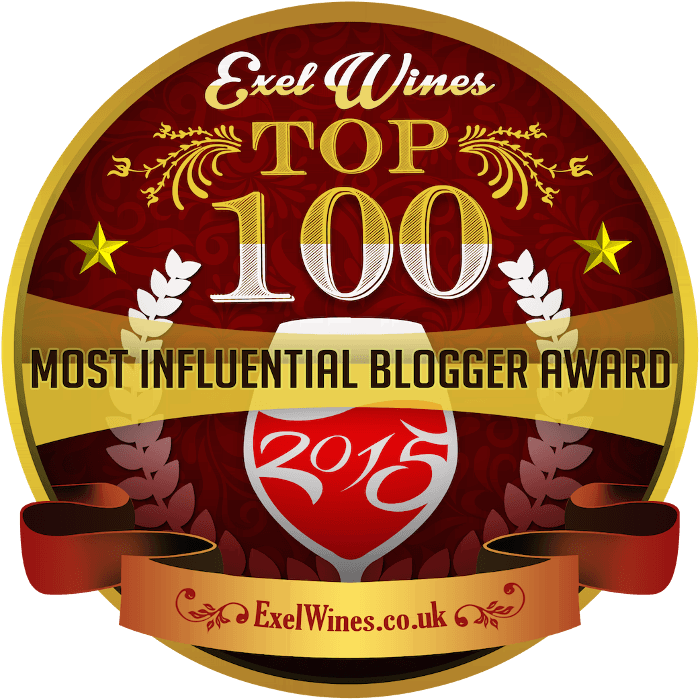 A fine easy-drinking party wine. Chill about 30 minutes before serving. Find It: The wines of Vino et Spiritus imports can be found for sale at City Fresh, Adriatic Café Restaurant, Theater Café, Beograd Café, Boem Restaurant and Zupa Restaurant. 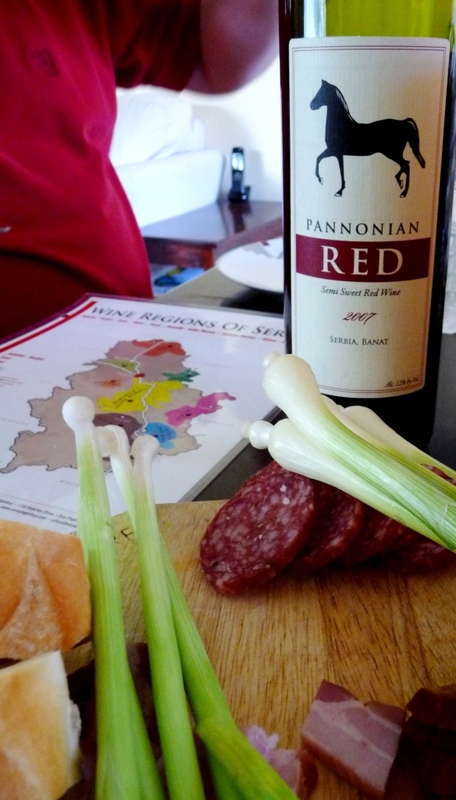 Agree – happened to find Pannonian Red in an Eastern European deli in Chicago – pretty pleased – $7.00 well-spent. Easy to drink, did not expect the petillance, is this normal? Hi Neal – I’m glad you liked it, and thanks for sharing your thoughts! I don’t recall petillance in the Pannonian Red. 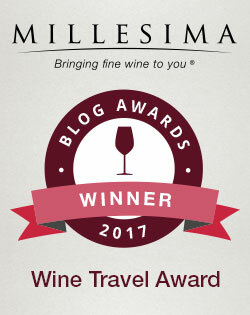 So perhaps your bottle was unusual, or perhaps the wine is made with some petillance these days (I had it in June of 2011, which was some time ago). I’ll keep my eye out for a bottle, and if I can find one, I’ll give it another try and report back.